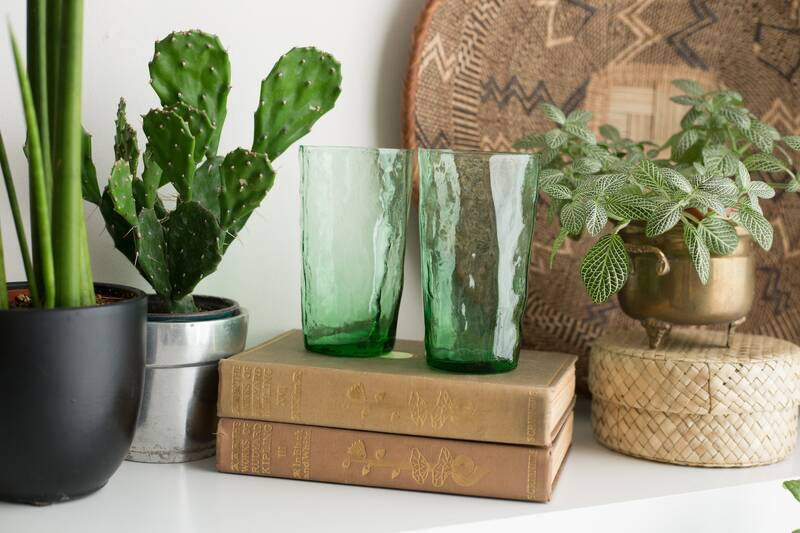 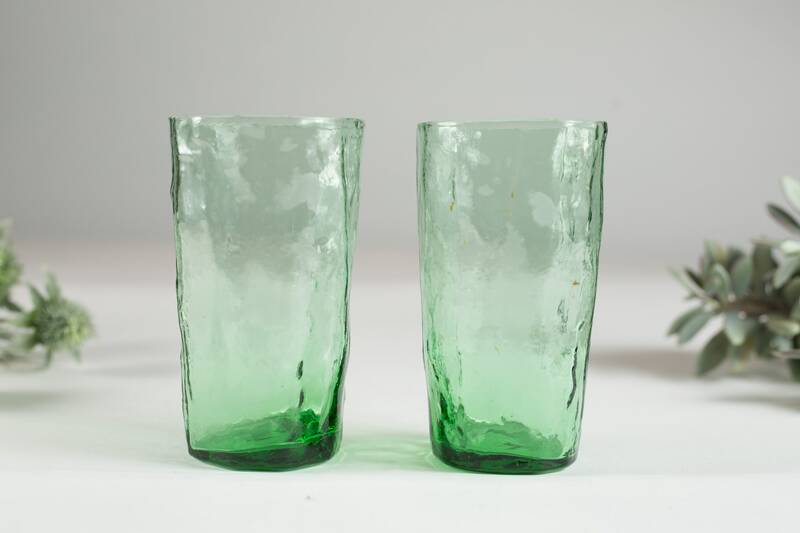 This is a fabulous pair of vintage green cocktail glasses. 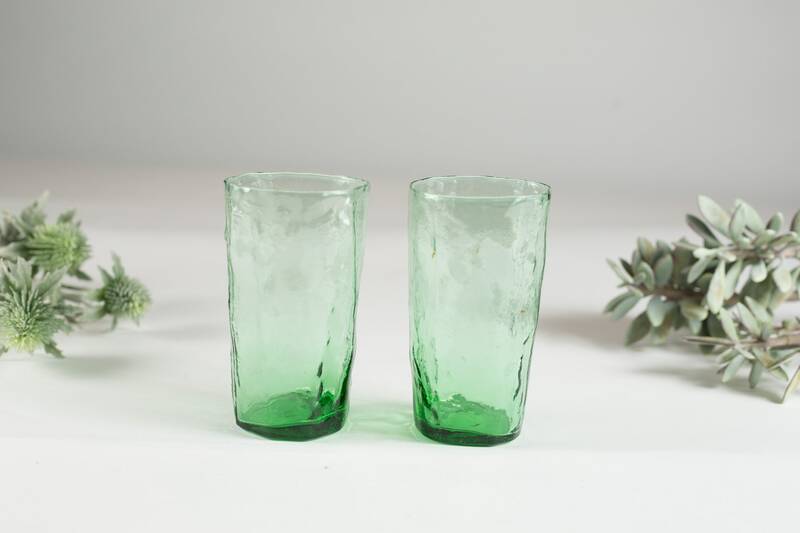 The glass has an icicle texture and is prime mid century in style. 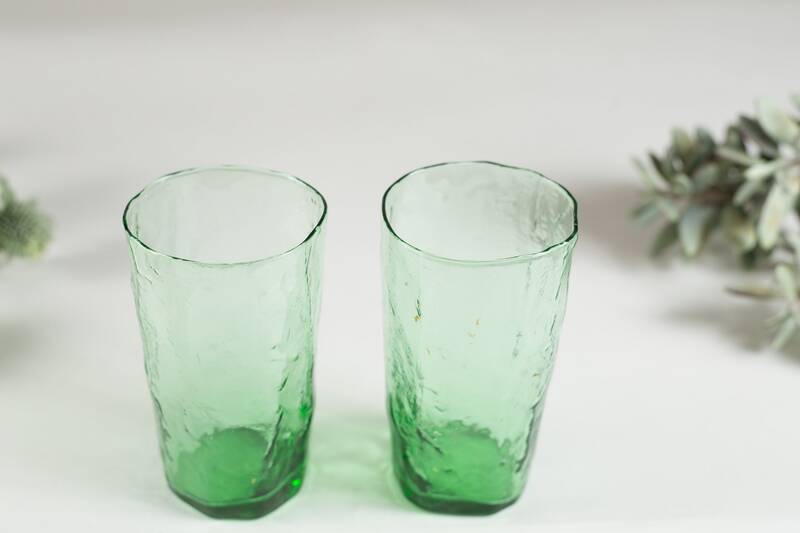 An Ideal accent to any bar decor or serving occasion for summer.